I know some of you like to cook and experiment with new recipes. So here is an app you just might be interested in. It is called Look & Cook. • It's foolproof: every step of the cooking process is explained and demonstrated. • Relaxing: no more stress over timing with our recipe-integrated Multi-timers. • It's a kitchen-hacker: learn dozens of professional cooking techniques, tips and tricks. • It's Just right: find recipes for specific events from a romantic dinner to lunch for the kids. This app will work with either an iPhone or iPad. 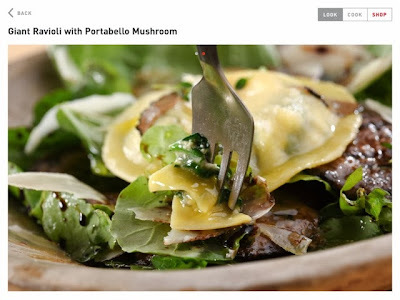 You have several recipes to choose from all with beautiful pictures and easy to follow instructions. Now, I am going to be totally honest here, there were not many recipes I would use, mainly because I don't do fancy. I am a basic, simple cook. I do like to try new recipes and love to bake. 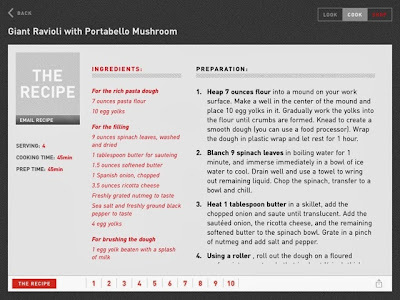 If you enjoy a little more fancy recipes, this just might be for you. 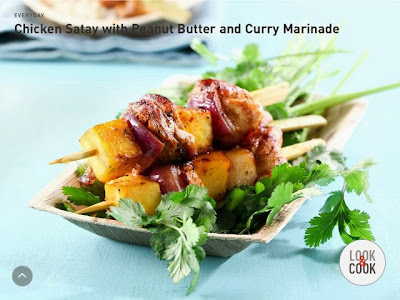 How about Chicken Satay with Peanut Butter and Curry Marinade? Or maybe you would like to try their Giant Ravioli with Portabello Mushroom. 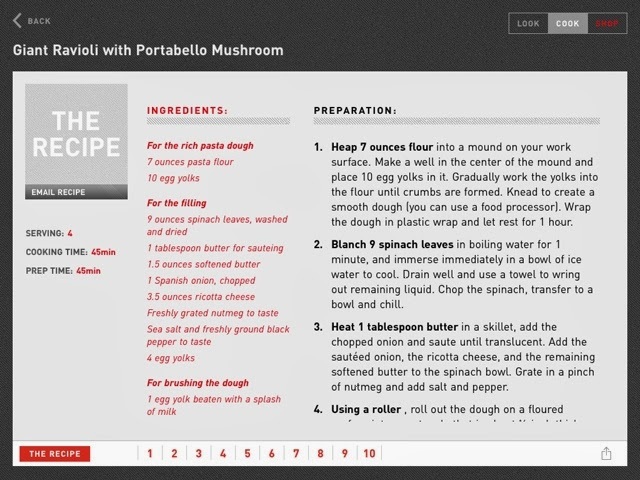 Each recipe walks you through, step by step. The pictures are clear and actually helpful, the cooking and prep time are displayed on the corner along with how many it will serve. I would love if they did some more basic type recipes and if they would do some for larger families! 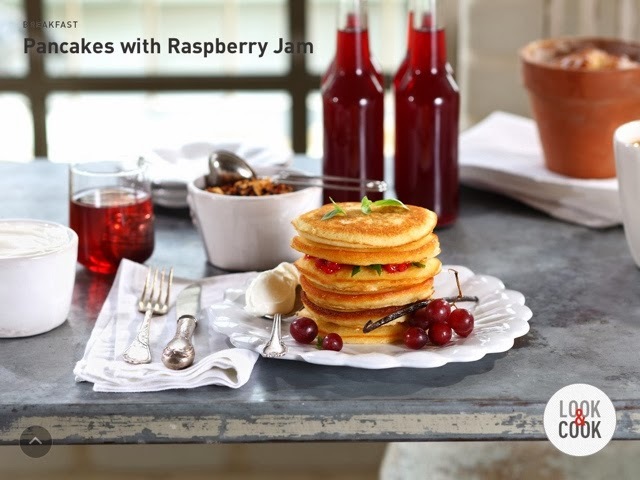 My daughter does want to try the Pancakes with Raspberry Jam. One of the great things about this app is that it is free. Yes, you heard me it is free. So take a minute and download this cooking app and see what you think. Thanks for stopping by At the Fence! Please come by soon for a visit!